Marcello Mulato has been the Fitness Manager at Rocco Forte’s Verdura Resort in Sicily since 2015. He has been passionate about sports and fitness since he can remember. Marcello extensively studied Sports Science, and he is on the verge of receiving his diploma to be a chiropractor. Throughout his lifetime he has trained and competed in a number of sporting disciplines, including kickboxing, kayaking, swimming, high jump and volley ball. 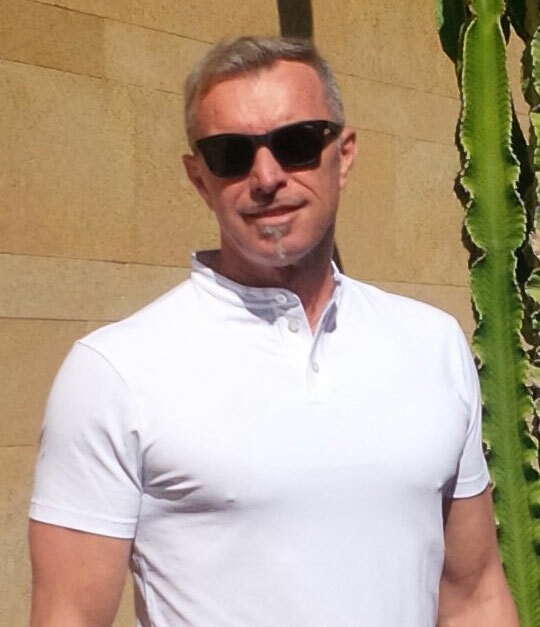 He also enjoys teaching and has been an instructor for swimming, tennis, martial arts and bodybuilding in addition to working as a personal trainer with a Federazione Italiana Fitness diploma. I started in wellness in 1983 at the American Wellness Center in Fano (Italy) as a trainer until 1986. Following this I became a coordinator of all fitness activities until 1988. From 1989 to 1995, I became General Manager at ‘Summerland’ in Fano with its two beaches, water sports activities, volleyball courts, four tennis courts, two swimming pools, a beach bar and a pool bar. In 1996, I came into the spa world by acting as a consultant for the Cofani group in Fabriano (Italy) working on a new spa project. In 2002, I became partner and General Manager of a fisiofitness centre in Fano. In 2003, I then started a new Health Club which opened in 2005, where I was the owner and General Manager until 2014. I then came to Verdura Resort where I work today as the Fitness Manager. Personal Trainer; Lifestyle Coach, Consultant, Fitness Manager, Spa Manager, Health Club General Manager. Building a Health Club with a fitness area, beauty center, physiotherapy center and spa area. When I finally brought it to life, it was a fantastic achievement. I learned many things, but above all, the importance of creating a strong team. Building and becoming a General Manager of a Health Club. It was extremely challenging to bring to life and it also allowed me to work with some fantastic orthopedic doctors, chiropractors, physiotherapists and doctors in aesthetic medicine. I learned so much from this experience. Do not be content with what you already know and always strive to learn more.